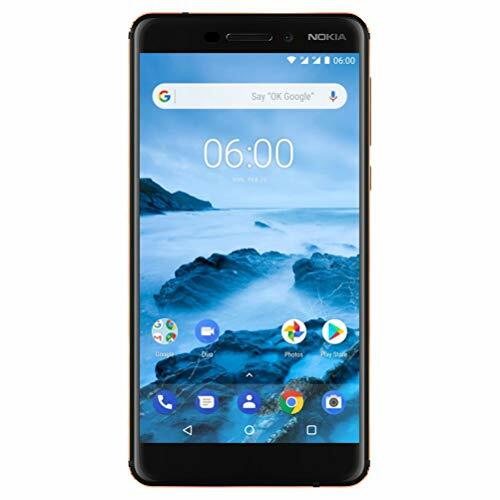 The Nokia 6.1 carries on in the tradition of it's predecessors and is built to last, with Pure, Secure and up-to-date Android. Made from a solid block of 6000 Series aluminum, the Nokia 6.1 has distinctive two-tone anodized Diamond cut edges, and a Sculpted 2.5D display with corning gorilla glass that provides you with a bright, high contrast 5.5” full-HD screen in more Compact screen to body ratio (74%). built on the latest generation of the highly optimized Qualcomm Snapdragon 630 mobile platform and a 3/32 memory configuration, the Nokia 6.1 can keep up with your lifestyle always using its fast USB Type-C charging that gets you to 50% in only 30 minutes so you never have to stop for long. A 16MP main camera with ZEISS optics and dual-tone flash gives you natural and Vivid images and the wide angle 8MP selfie camera now fits more of what you love into the same picture. And now you can create and share more with the new “dual-sight” technology that uses both the front and back cameras simultaneously so you can tell both sides of the story. Dual-sight fuses both front and back images together into one photo or video file which combined with the 4K video capture and spatial audio recording that utilizes 2 mics, your memories are even more immersive. If you have any questions about this product by Nokia mobile, contact us by completing and submitting the form below. If you are looking for a specif part number, please include it with your message.